When we think about Moroccan desserts, we often think of Moroccan pastries. Those heavenly delicious bites made with almonds, honey and flavored with orange blossom. Yum! Sadly, Moroccan pastries are a little bit elaborate to make. 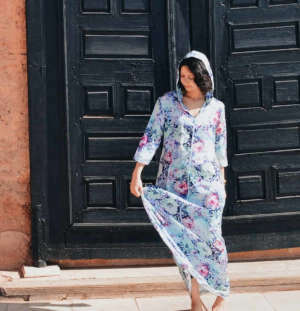 And when you don’t live near a Moroccan bakery, or if you are on a diet, it can be hard to satisfy your taste buds who crave some Moroccan flavors. Well, let me tell you, today is your day! In fact, there is an underrated Moroccan Orange dessert that is super easy to make and extremely delicious. In a few minutes, you can create a refreshing orange dessert with that Moroccan exotic flavor that most people cherish. 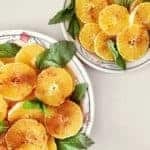 While growing up in Morocco, my mother used to prepare this orange dessert salad all year long. Now, years later, this dish has become one of my favorites to make. Very easy to prepare, you will only need a handful of items. Some oranges, cinnamon, honey, and natural orange blossom water. Oh, and it takes less than 10 minutes to prepare. How good is that? 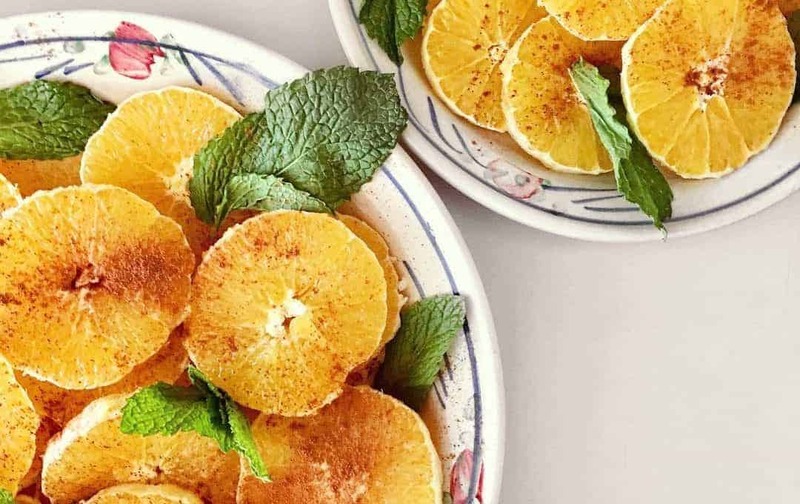 This Moroccan orange salad recipe is also very healthy and energizing. In the cold seasons, vitamin C and the cinnamon will boost your immune system and help you fight cold and flu. 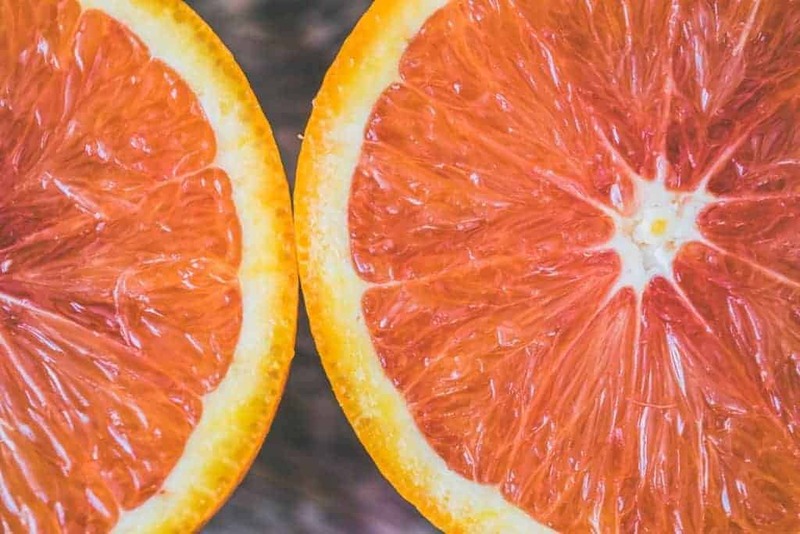 During the hot season, this orange dessert will be super refreshing & hydrating, all while helping your skin fight the aging effects of the sun. The secret ingredient in this recipe is orange blossom water. 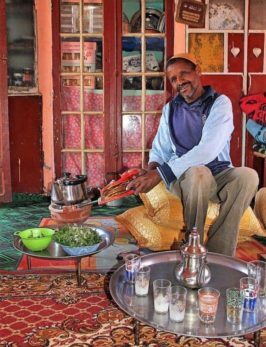 A Moroccan kitchen essential. My only recommendation is to invest in a good quality one as it can make a big difference in the result. Good quality orange blossom water cost ranges from 9 to 15 dollars, depending on where you live. But it is so worth the investment! In fact, you can incorporate it to most of your sweet doughs, to add a delicious, natural orange flavor. Once you start using orange blossom water, believe me, it will become one of your kitchen essentials! perfect now that the sun is finally out … thank you! just ordered it! I deal with insomnia and after reading your post, made some research on orange blossom water. It turned out it is a proven relaxing product. 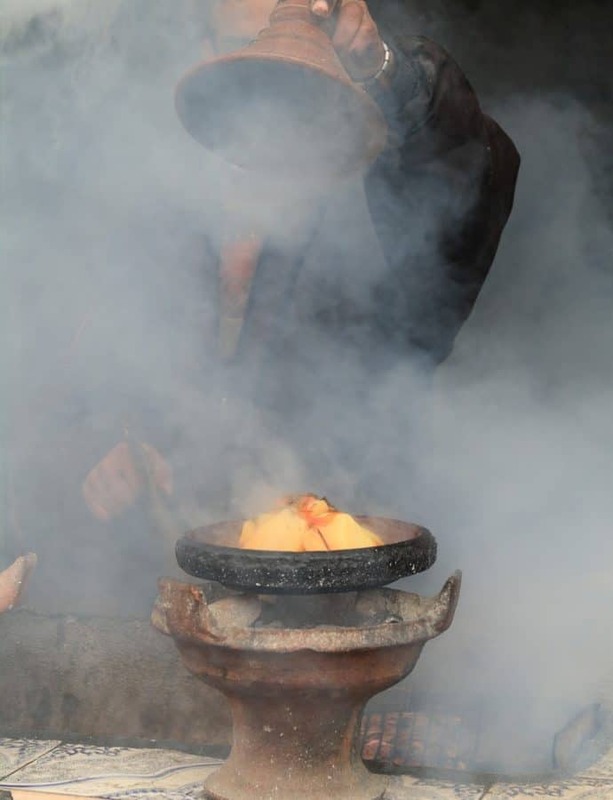 thank you for the recipe too …. it looks super delish!